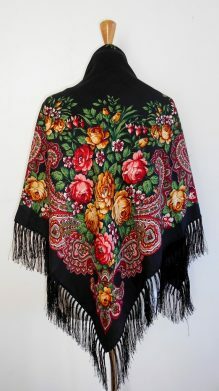 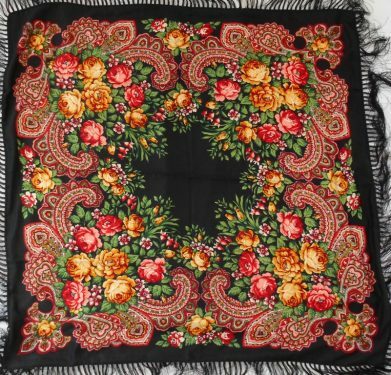 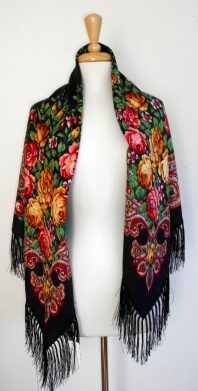 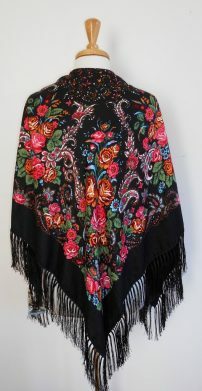 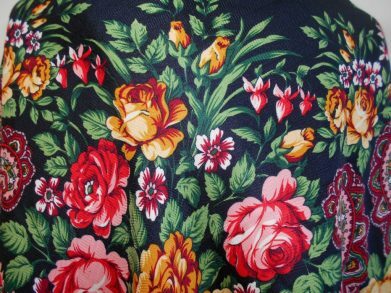 A kaleidoscope of flowers and leafs brings lavish elegance to this wool shawl from Pavlovo-Posad Manufacturers. 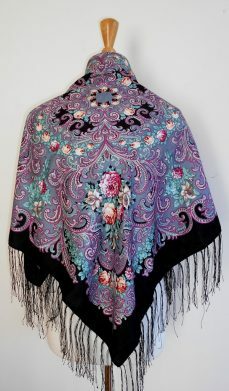 The composition is woven in shades of pink, burgundy, blue and purple. 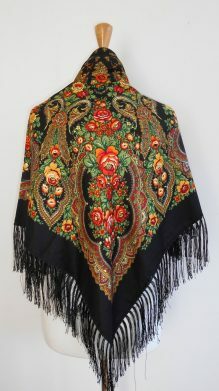 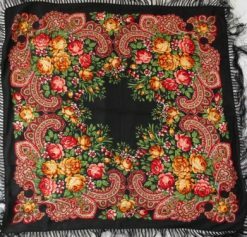 For many generations in Russia, these shawls have been collected as heirlooms and honored as symbols of prestige. 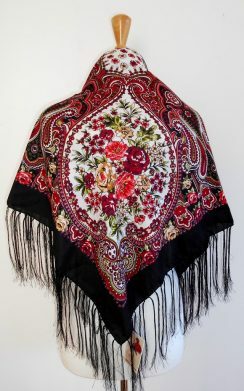 The original patterns and intricate work make this shawl an adorable addition to the accessory collection. 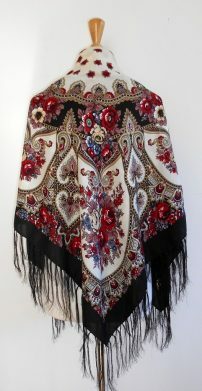 Made in pure wool with silk fringe, it is wonderfully easy to wear. 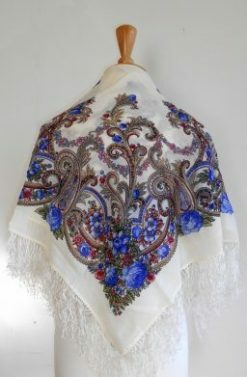 Founded in 1795 in Pavlovsky Posad, the Pavlo Posad Shawl Manufactory in Russia create traditional Russian shawls, the epitome of subtle elegance. 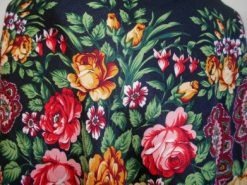 Committed to creating high quality designs, many of the patterns in use have been passed down from generation to generation. 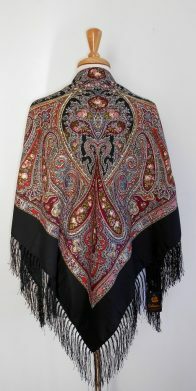 The prestigious Art Council is consulted for every new design, choosing only the best for their luxury garments. 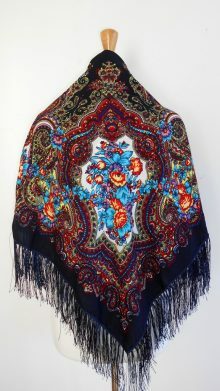 Using complex colour dye techniques, Pavlo Posad Manufactory aim to re-create true colours for the shawls. 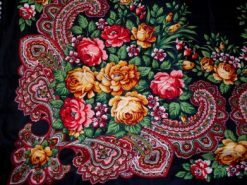 Many of the processes are carried out by hand to ensure the exquisite finish one has come to associate with Russian scarves. 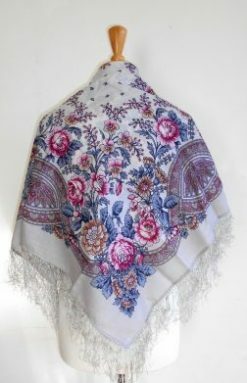 Luxuriously soft and made from wool, these shawls are not only visually stunning but wonderfully warm too. 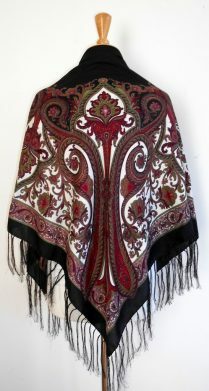 Hand wash in warm water is recommended. 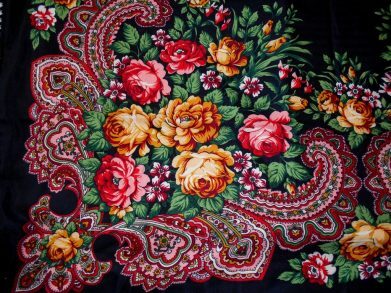 How many Babushkas are enough ?